Welcome to our blog! 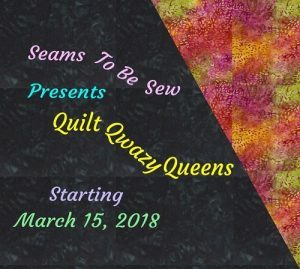 Today we’re happy to join a great group of quilters for the “Quilt Quazy Queens” blog hop, sponsored by our friend Marian from Seams to Be Sew. 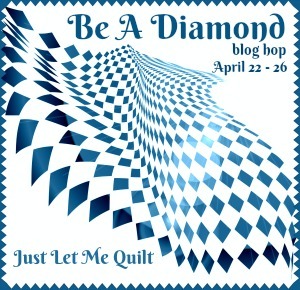 Thank you to the Fat Quarter Shop and Studio 180, sponsors of the giveaway prizes for today’s blog hop. Please look for the list of links to participating bloggers at the end of this post. It is such fun to visit and comment on the wonderful projects that have been posted! When you’ve been quilting as long as we have, it would be unusual to NOT have a stack of projects that haven’t been finished. In the quilting world, these projects are called “UFO’s”. The reasons for leaving a project unfinished vary, but there is satisfaction in getting them completed, eventually. 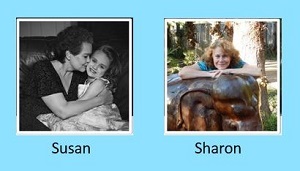 Susan gets to go first! My daughter bought new furniture two years ago and is constantly telling me that she can’t find cute pillows that coordinate with the coral and turquoise pillows that came with her new sofa. I made her a large rectangular Christmas pillow several years ago and she wanted something “about the same size.” The pillow pattern is from Kimberbell Designs, and it has been sitting on the shelf behind my sewing machine for two years. There are a total of five patterns, so I have more creating to do! Even though I hadn’t even shopped for fabric when we decided to challenge ourselves to finish some UFO’s this year, I added it to my list and chose it to be my first UFO to complete this year. My daughter loves her new pillow, and it looks great on her sofa! My friend at work always loves to see the quilts that we are making for the shop. I found out last fall that she was in the process of adopting a baby and I wanted to do something really special for her. As Sharon and I were discussing our UFO’s, I remembered that I had 13 blocks that I stitched 4 years ago when I was making a special quilt for my granddaughter. Even though the blocks didn’t make it into that quilt, they’re fun, colorful, and cute for a new baby. I took several fabric choices for consideration by our expectant parent, she chose her favorites and I finally got it all put together! The happy news is that she now has a sweet baby girl to love, as well as a fun, and extremely bright, quilt for them to snuggle under! I found this design on Pinterest, about 4 years ago. I drafted my pattern, chose fabrics to use, and sewed the top during the summer of 2014. It was so pretty, and I was SO excited to have it ready in plenty of time before Christmas! But then school started up in August (I’m a teacher), I got really busy with other things, and so I folded up the quilt top and my binding, stuck it in a drawer for safekeeping, and eventually forgot all about it. Fast forward to January, 2018. I was organizing some drawers, and found the finished quilt top. I also unearthed some red fabric with green writing “Just Say HO!” when I was fondling (or organizing) the fabrics in my stash, and decided that it would be the perfect backing for my “Ho!” quilt. All of the parts for the project came together, and now I’ve finished the “HO!” quilt just in time for Christmas, 2018. This is a convergence quilt top that I pieced two summers ago. I love the brilliant colors and the way the cuts make the fabric pieces sort of blend together. 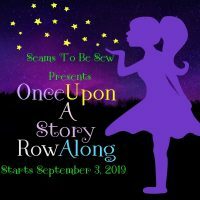 The reason it became a UFO is similar to the story behind the “HO!” quilt- summer ended and school started up again, so I tucked it away to finish later. I always seem to have such great plans for my summers, but not quite enough time to implement everything! The quilt top has the border attached, and I have some pieces set aside for the binding. I just need to decide how to quilt it, and then get it done. We’ll call this quilt top my second quarter UFO, because it is clear that I probably won’t finish by the end of March (school is in session again!). Come back in June to see the (hopefully!) finished quilt. Thanks for visiting! We enjoy reading your comments, and appreciate you stopping by today. And now for the giveaways! Here is the list of links to all of the participating bloggers! Enjoy visiting them to see more great projects. Next Post Tools, Beautiful Tools! I came by to say I loved my first paper piecing I purchased from you ladies and lovely surprise to see a hoping going with awesome giveaways ❤️ I posted a picture on my IG account edewett. My son is going to love his quilt once I’m done. Thanks! What great UFOs! It’s so nice to see something finished. How exciting to find the perfect backing for the Ho quilt, too. Thanks for sharing these great ones. Oh My, and WoW… Love that pillow of Susan’s as well as that baby quilt… The pillow just gives you that bright and cheerful feeling when you look at it, I truly love it. The HO quilt is just way to darn COOL!!! I like it!!! I also love love love the convergance quilt, the colors are really amazing. I’m also so happy you joined QQQ 2018 this year, isn’t this fun!! I like all of your UFO’s, but my favorite is your baby quilt – lovely. Thank you for sharing all your projects with us. WoW! Lots of finishes, great job! Love the cute pillow. Thanks for sharing! So many lovely projects! The pillow is very unique, I just love it. Your UFOs are all wonderful! I especially like the pillow. What a great feeling it must be to finish all your UFO’s. I love the colors in the last one you shared. If you love the pillow, Kimberbell Designs created the pattern! I’m excited to start the next one. 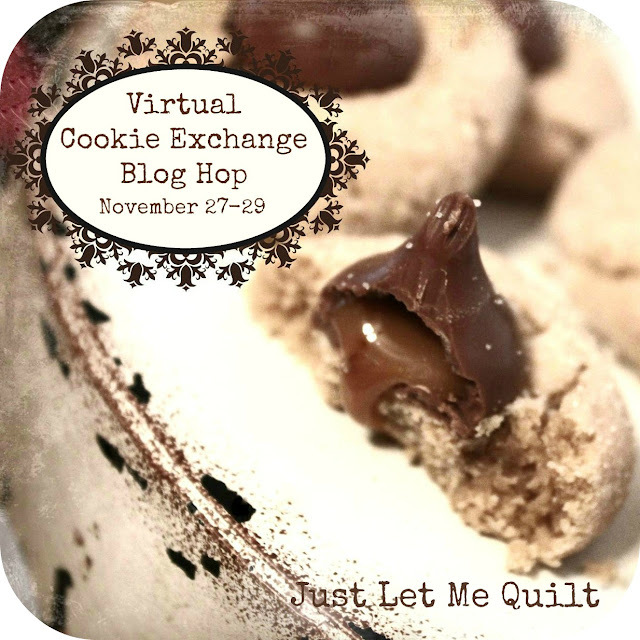 Thank you for visiting and thank you Marian at Seams to Be Sew for always coming up with such fun blog hops! Love the pillow you made for your daughter. And really like how you made the 3D flower in the center! That pillow is cute. I can see why your daughter would love it. And the baby quilt is so adorable. I love your pillow. So cute!! Great job on finishing up all of those UFOs. That pillow is so cute and fun. Love your pillow! It has been put on my bucket list. Got to finish some UFOs first. Thanks for the nudge! Adorable finish!! This is just too sweet! Oh, I love them all. Nothing is better than seeing loads of inspiration. First off, I have to say, that pillow is just too stinkin cute. I’m just drooling over it! Hohoho is adorable as well as the baby quilt and the convergence quilt. I want to make them all now! I like the convergence quilt. You have really been busy! Love all your quilts. The bench pillow is adorable, and the baby quilt is so cute, but I love your Christmas Ho Ho Ho the best. Thanks for sharing. Love the pillow and the Ho Ho Ho quilt! Love the baby quilt and the pillow! Wow, you were busy finishing projects! My favourite is the pillow, the Kimberbell bench pillows are all wonderful designs. Love your pillow! So cute for spring. Your convergence quilt is gorgeous! Orange and blue is one of my favorite color combinations hanks for sharing all your delightful creations. Lovely projects. Good luck with your UFO plan, hope you keep making progress. It sure is worth it! Thanks for sharing. Wow what beautiful quilts! I really need to get back into making them!